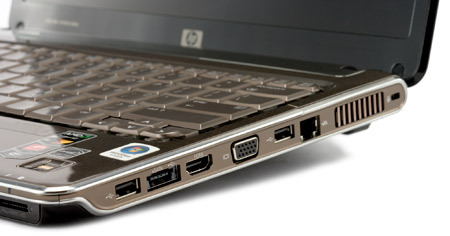 If you're after portability and power then the 13in form factor has long been the best option. 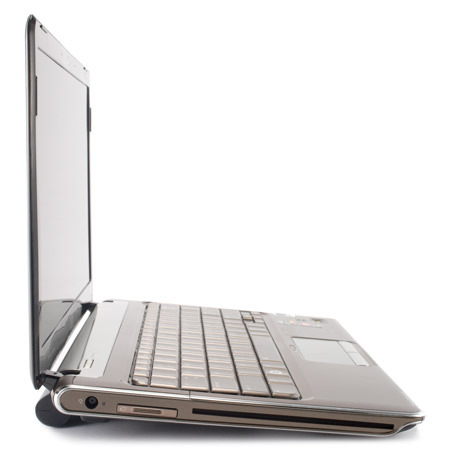 There have been numerous excellent examples in this arena over the last year or two, including the now discontinued Dell XPS M1330, the outstanding Sony VAIO Z Series and the latest iteration of the machine that arguably popularised the format, the Apple Macbook. This 13.3in machine delivers on many levels. It's packed full of useful features, particularly that capacious 500GB hard drive, while the design is attractive - if a little showy. 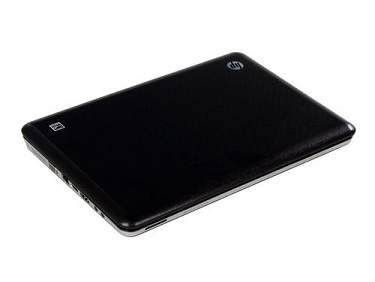 This is backed up by decent raw performance and excellent battery life. It's not quite the perfect bargain, but for £750 you couldn't ask for a great deal more. HP has been cutting something of a dash with its laptops for quite a while now, and the 13.3-inch Pavilion dv3-2055ea certainly continues the trend. 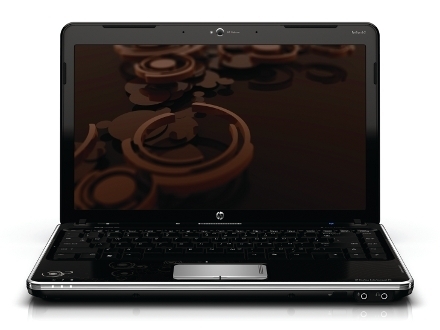 Slim, light and with ports a plenty, HP's Pavilion dv3-2055ea is a very well-specified laptop for the money. It could be quieter and its 3D graphics performance needs to be stronger to live up to the 'entertainment' epithet, but it's still a capable all-rounder with a few features that set it apart from the competition. 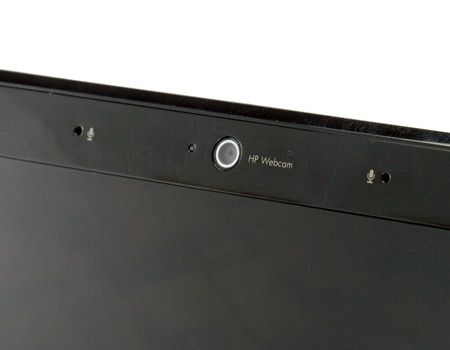 Recently we took our first look at the HP Pavilion dv3 range in the shape of the dv3-2055ea. We went away very impressed, particularly due to the excellent battery life, massive 500GB hard drive and generous features on offer given the £750 price. Now we're looking at its slightly cheaper cousin, the dv3-2050ea. At £699.99 online it's only £50 cheaper, so the question is whether it's £50 worth saving, or £50 worth spending. 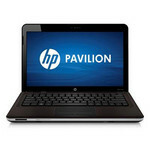 Just like its more expensive cousin, the HP Pavilion dv3-2050ea is a very accomplished and well featured laptop. Performance is good, without being mind blowing, while battery life is excellent. However, it doesn't quite represent enough of a discount over its stable mate or enough extra value over the Samsung Q320 to earn an award. A Touch of Flower Power. 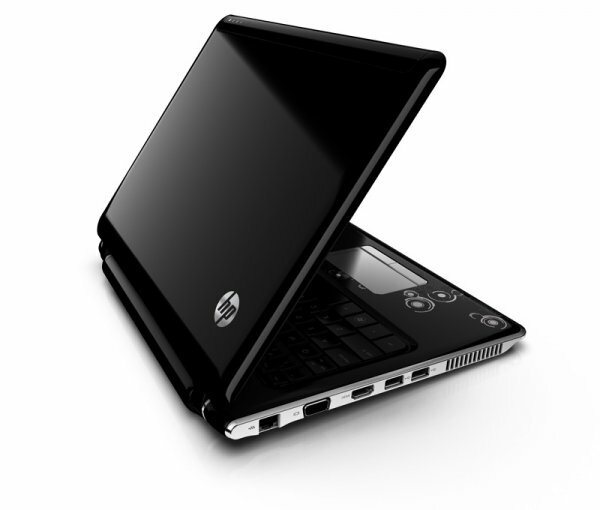 Hewlett Packard has been on a trip through past decades since a few years in view of its notebook design. Especially floral wallpaper patterns and the gleaming chrome cars of the 60's seem to appeal to HP designers. 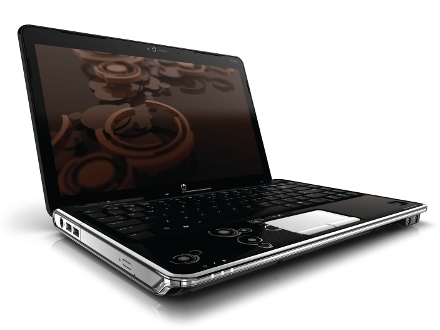 But the little Pavilion dv3 comes along in swinging patterns, a chrome look and even with a touchscreen. If the performance rates are up-to-date or if they're rather retro, you'll find out in this review. 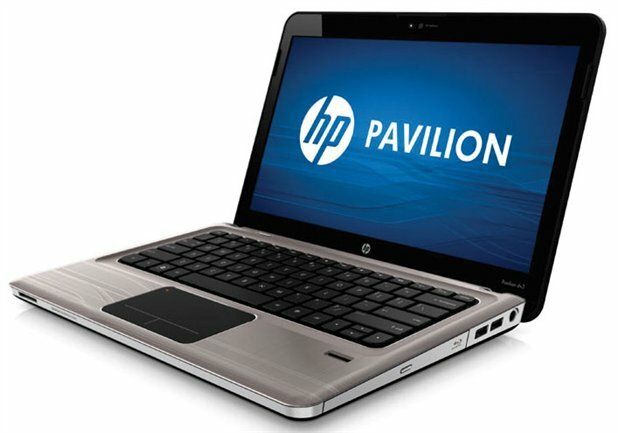 Ultimately the HP Pavilion dv3 represents a very nice and powerful laptop in a very small package, enough to easily do office work and play the occasional games, but don’t forget the power cord. NVIDIA GeForce G 105M: Higher clocked 9300M GS and therefore a bit faster. Still manufactured in 65nm. 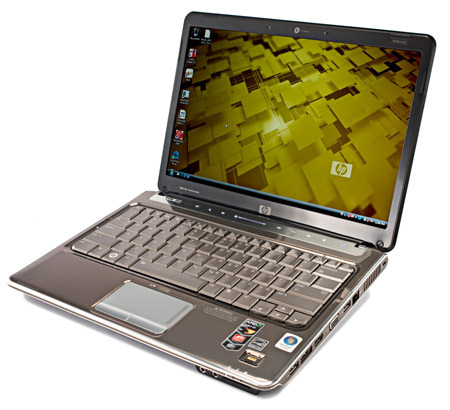 Supports Hybrid-SLI with HybridPower and GeForceBoost (in conjunction with the right Nvidia chipset).ATI Mobility Radeon HD 5450: Entry level DirectX 11 graphics card with a similar clock speed (and performance) as the HD 4570 but at a lower power consumption.AMD Radeon HD 6370M: Renamed old HD 5470 with 80 shader processors and DirectX11 support.» Further information can be found in our Comparison of Mobile Graphics Cards and the corresponding Benchmark List. T6400: Entry level dual core processor based on the Penryn core with only 2 MB level 2 cache and a low clock speed.T6600: Entry level Core 2 Duo dual core processor with a small 2MB level 2 cache and without virtualization functions.Intel Pentium Dual Core: The return of the name Pentium, though it is a Yonah core. 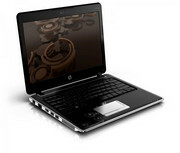 In fact, it is a double Core processor with a very good relation of performance to current consumption. 480M: The Core i5-480M has only 3 MB L3 Cache (compared to the I7-620M) and clocks between 2.66-2.9 GHz (Turbo Mode). Thanks to Hyperthreading, 4 threads can be processed simultaneously. 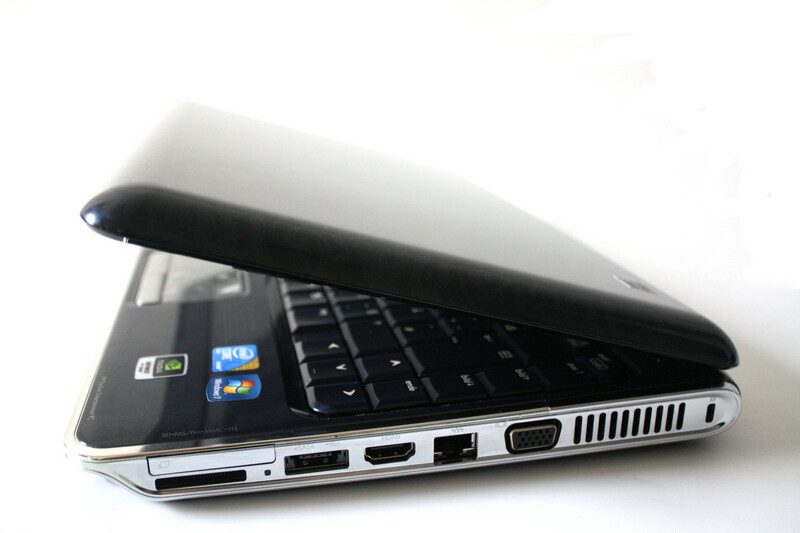 An integrated graphics card (GMA HD) and a DDR3 memory controller are also included in the package. 73.08%: This rating is bad. Most notebooks are better rated. This is not a recommendation for purchase.» Further information can be found in our Notebook Purchase Guide.